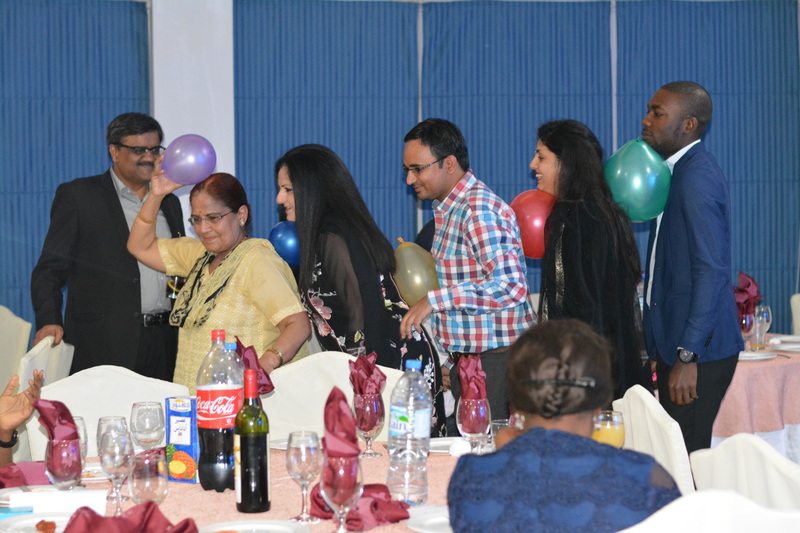 On the sidelines of the Quarterly Board meeting held in Dubai on January 4-5 2015, Skipperites participated in a fun cultural theme karaoke night at the Grand Excelsior Hotel, Bur Dubai. 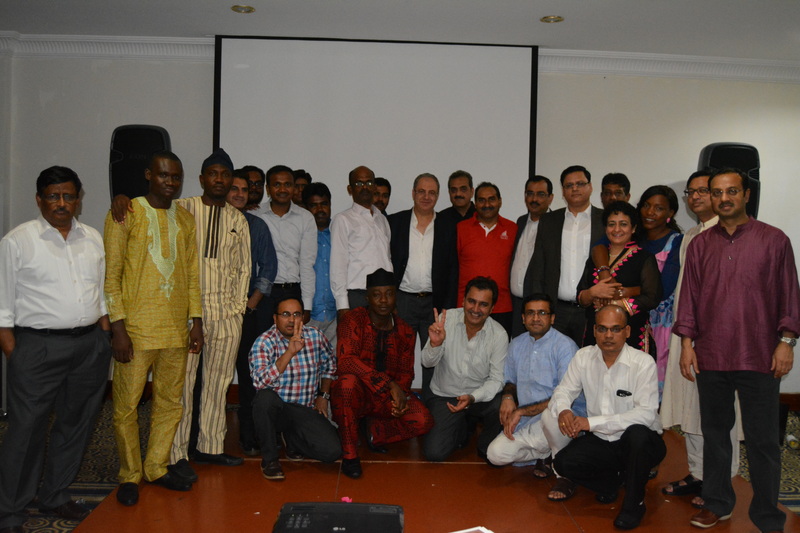 Skipperites from international subsidiaries wore traditional attire from their respective regions, played entertaining games and showed off their skills on the dance floor. A number of attendees unleashed their singing prowess and sang along to popular hits with the Karaoke DJ. This was followed by a special dinner and felicitation ceremony to recognize the efforts of the lead performers of the Company for the financial year 2014-15 as per the interim evaluation during H1 KRA assessment. 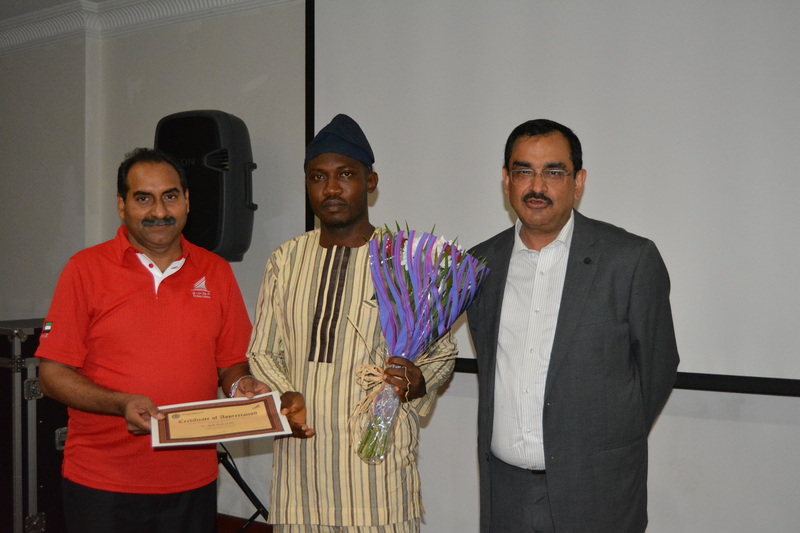 Mr. P. Subramanian, GM – Plant, GTA Engineering (Nigeria) Ltd.
Mr. Benjamin Oseghale Godday, Skipper Nigeria Ltd.
Mr. Jegede Richard Olu, Skipper Nigeria Ltd.
Mr. Syed Khurram Mansoor, Skipper Nigeria Ltd.
Mr. Ovesanwo Olusoga Taofik, GTA Engineering (Nigeria) Ltd.
Ms. Osuji Perpetua Ngozi, GTA Engineering (Nigeria) Ltd.
Mr. Nkanang Uwen Effiong, GTA Engineering (Nigeria) Ltd. The Group President along with Directors on Board & visiting guest Mr. Shola Akinniranye (Chairman – WAPP) concluded the ceremony by addressing the audience on the Skipper spirit and endorsing the superb performance of the subsidiaries over the last year. We congratulate the awardees and wish them all the best for this year.